Gallia County Genealogical Society OGS Chapter, Inc.
You may reach us with your comments and suggestions by clicking on the email link on the bottom of this page. Henny Evans For those of you who haven't yet heard, it is with deep regret that we inform you of the death of our beloved president, Henrietta (Henny) Evans on November 20. She died at home after a brief illness. She has been the president and guiding light of this organization since it was reorganized and incorporated in 2005. 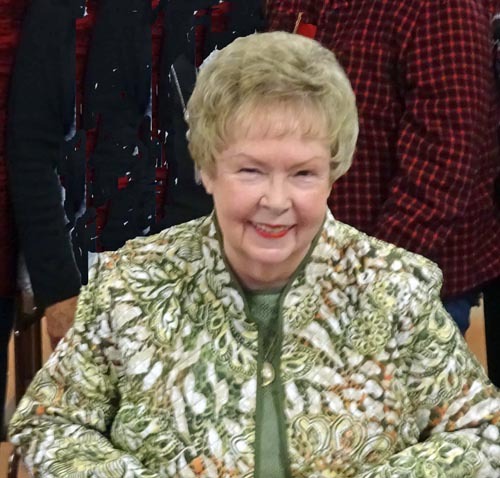 Henny has been a leader and a tireless worker in the genealogical and historical efforts in this community for most of her adult life. Even within her always busy life, she always found time to help those who needed personal guidance in their pursuit of their family history. She has contributed an enormous amount of work and energy in leading this Society and she will always be remembered with love and gratitude for her efforts. In my opinion no one has done more for Gallipolis and Gallia County than Henny Evans. Gallia Crossroads and Cornerstones, because of Henny, is a vibrant publication that connects past and present. While she can not be replaced she has built something, created a team, and left an enduring legacy. Henny represents the best of small town America. She was friendly, super efficient, smart and had an ability to get to the point. Those are capacities most of aspire to but often fail to achieve. Our thoughts and prayers go out to Henny’s husband, family and her many friends in Gallipolis. Henny, thanks for what you’ve done. We won’t forget you.